On a map, Nepal is rather small, but in terms of the adventures that the country offers, it overshadows most countries. This is justified by the numbers of tourists visit in Nepal. Nepal is the land of Great Himalayas, beautiful rivers, rich biodiversity and fascinating culture. 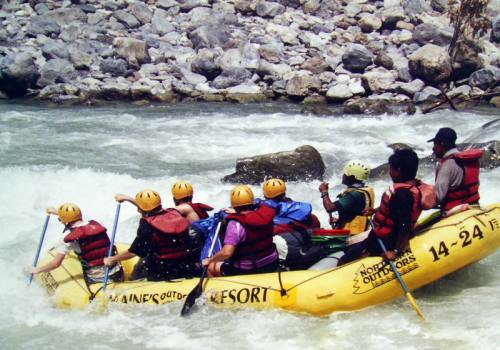 Moreover, it is a top-notch country for trekking, Mountain flight, Rafting, Village Stay and many more. 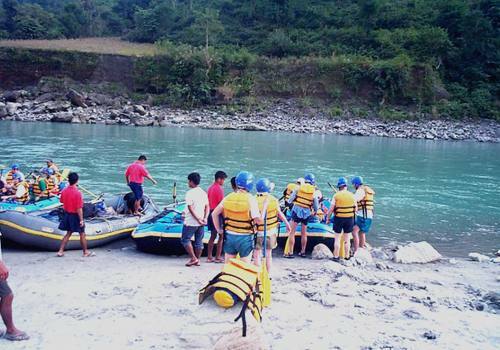 Among these, rafting is a major attraction for tourism. Nepal is the second richest country in world in terms of water resources. We are blessed with rivers of all shapes and sizes. Trishuli River is conveniently close to the Kathmandu Valley, Pokhara and even Chitwan National Park . 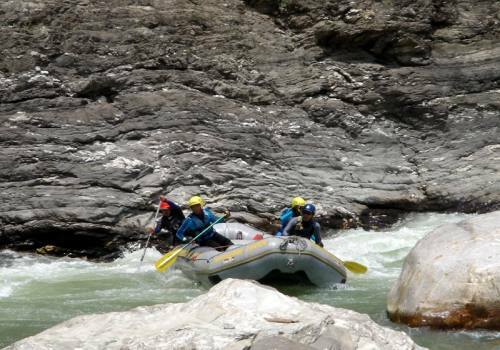 Trishuli River Rafting is believed to be the best rafting in Nepal, providing beautiful sceneries and an adventurous ride on water. If we're lucky, we'll be able to try some local fish from the area. 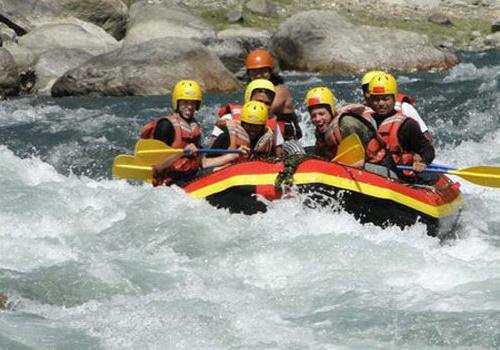 Trishuli River Rafting starts from Baireni/ Charaudi and its ending point is Gaighat and its river distance is 38 km. 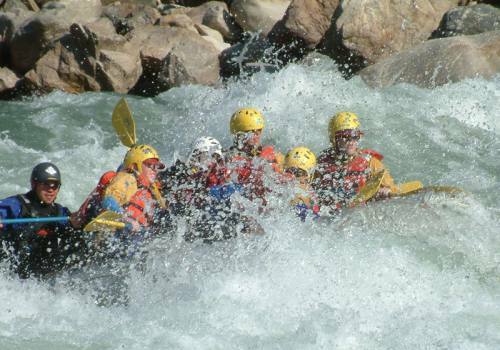 There are several stimulating rapids that are waiting to make the rafting exciting and challenging some of them are as Snail’s nose, Monkey rapid, Cotton Pony and many more. The duration for this package is 4 days depending on your accessibility of time, though it can be done in less time if needed. 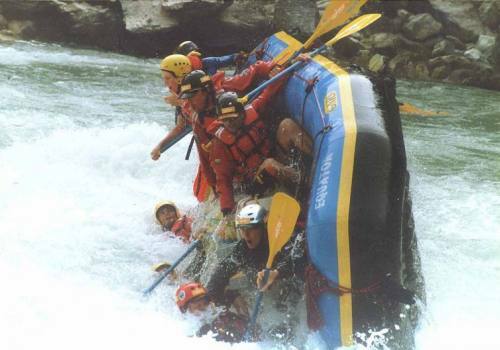 During Monsoon months, Trishuli River Rafting brings lots of currents and heavy rapids swifts to make the rafting more interesting and adventures for the rafters. There are various segments for the duration of the Monsoon, for those who are seeking for pure electrifying tour. Fishing is a fun activity that you can enjoy during the moments that we are not in the river. Day 02Drive to Charaudi (85km), Begin RaftingOn this day you will drive from Kathmandu to Charaudi (3 to 4 hours). At Charaudi, we hop in the water and experience a few rapids, one being the “Ladise Delight”. Then, after some time we take some rest and have our lunch. After enjoying more rafting, we'll stop for tea or coffee and/or snacks. Overnight stay in a tented camp. Day 03Raft in Trishuli River, Drive to KathmanduWe wake up early to take your breakfast and get ready to experience some more whitewater rapids. Technically those rapids are known as “ Bijili Rapid” and “ Tea Pot”. After lunch, we float further to Simaltal. From there we drive back to Kathmandu. Farewell dinner and overnight stay in hotel. Day 04DepartureWe will transport you to the airport. Thanks for trekking with Adventure Himalayan Travels and Treks. We look forward to seeing you again!